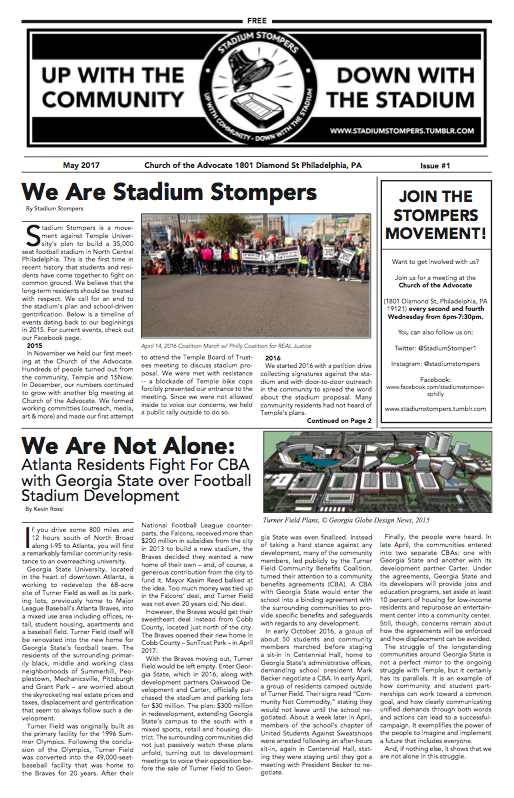 Stadium Stompers is a movement of Community Members, students, and faculty coming together to stop Temple University's stadium and build power in North Philly. Since November 2015, we've been committed to organizing together as members of North Central Philadelphia. We hold meetings every second and fourth Wednesday of the month at the Church of the Advocate (1801 Diamond St) from 6-7:30pm. Stay up to date through our Facebook page here! Learn about our campaign here. 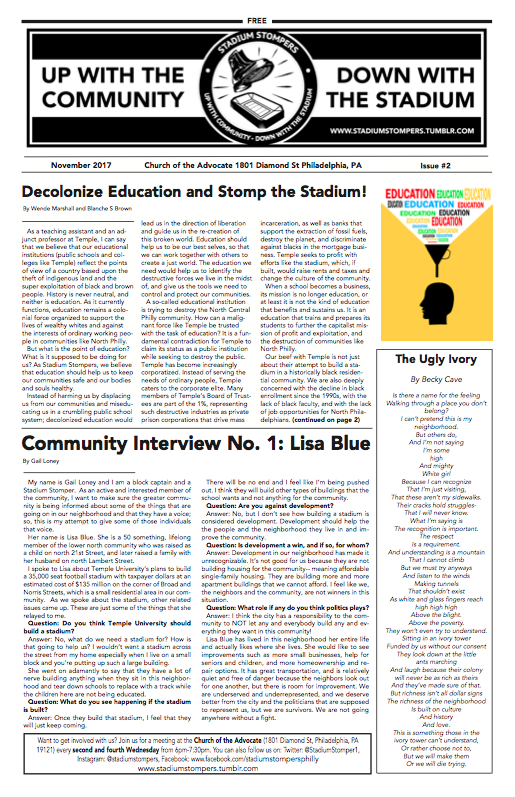 Click on our fliers and newsletters below to download them! Logo design by Christopher Eades.